If you love watching people dance and have an appreciation for exotic and sultry movements that you may not be able to do yourself, Simply Ballroom is the show that will capture your heart. Located in the theater at the Golden Nugget, Simply Ballroom offers championship dancers that know their stuff and have no problem flaunting their skills. You will see dancers from around the world doing dances that include the Paso Doble, the Tango, the Waltz, the American Jive, and the Cha-Cha. Of course, there are many other dances that you may see. The music selections for the dancers vary greatly depending on the dance that is being done. Musical style ranges from classical to current hits. You will enjoy the magical dancing styles of these well trained dancers and the various songs that they are moving to while on stage. This show is suitable for dance lovers of all ages. Due to the popularity you may want to reserve your seats prior to show time. 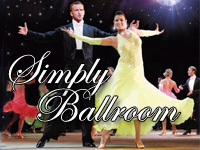 Seen the Simply Ballroom Show?